We all know professional athletes are paid to wear and use certain products. But regardless of payment, athletes won’t put their success on the line for any product. 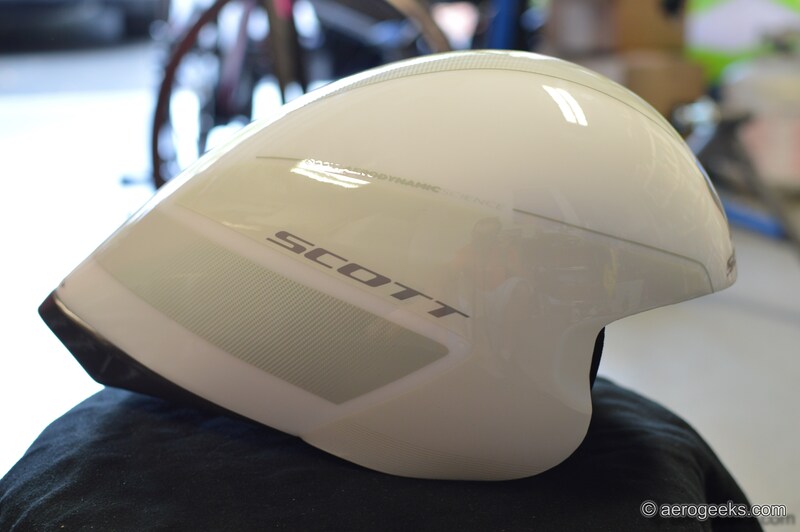 So when we saw Sebastian Kienle, Marino Vanhoenacker and Orica GreenEDGE all sporting the Scott Split helmet, we knew it had some serious credentials. 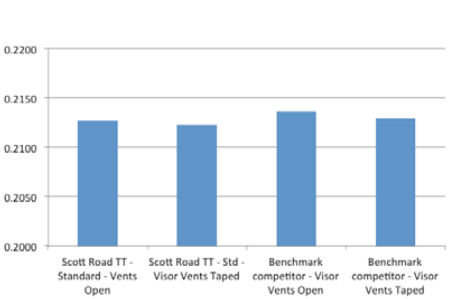 When we unboxed the Split ($249.99) at the start of our review, we immediately took note of the complete lack of front air vents. With so many helmets now offering a variety of ventilation options, it was quite a shock to see a solid frontal profile. And to be honest, this actually worried us quite a bit. Just how hot was the Split going to make us under the hot South Florida sun, especially during our longer training rides? Fortunately Scott out our minds at ease, assuring us that heat wouldn’t be an issue. They’d designed the Split with a deeply channeled internal structure. 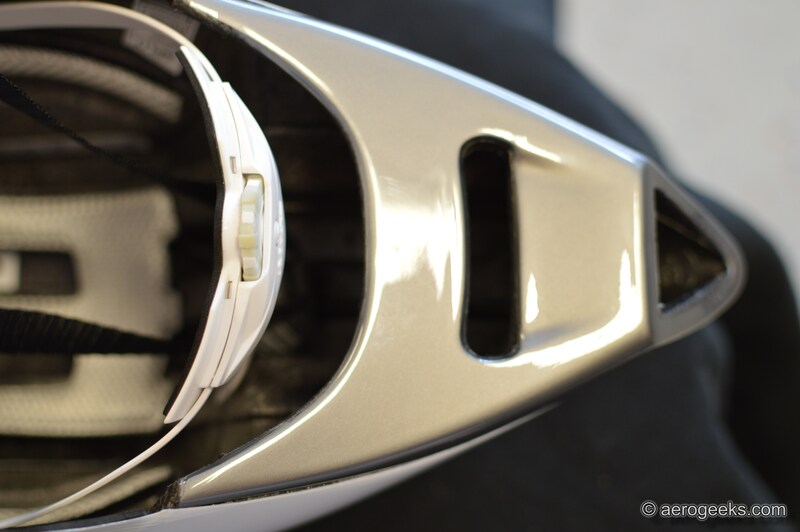 Developed with ventilation in mind, these channels pull air coming in above your face to the large rear exhaust port – essentially creating your own personal AC system above your head. So does it work? Oh yes. And it works well. So well, in fact, that when we pull the helmet off, a set of clearly visible channels have been carved through our hair where the wind blew through the helmet. One thing to note here – Scott did not include the optional lens, which retails for $39.99. So all of our testing was done with sunglasses. However, the lens was developed with the ventilation channels in mind and includes vents to allow the wind to flow through freely. Our longest ride with the Split lasted four hours with temperatures in the mid-80s (Fahrenheit) and never once did we want to stop due to overheating from the helmet. 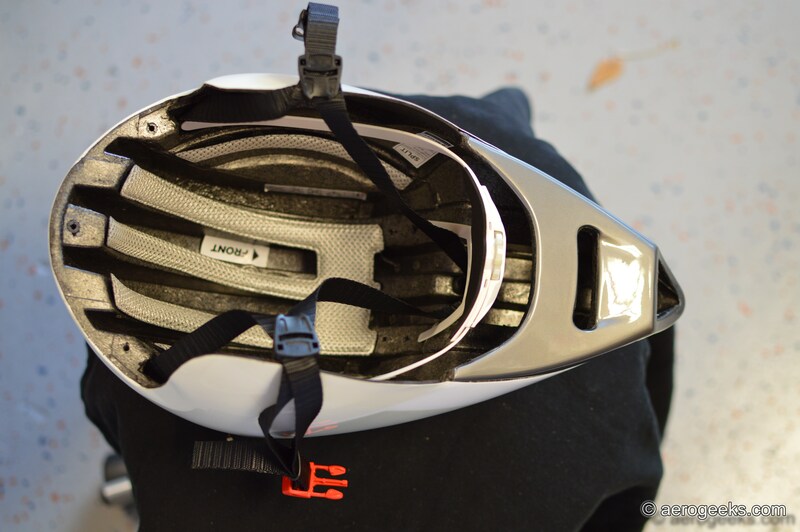 We were also pleasantly surprised to find that the Split actually feels and fits like a standard road helmet. If it wasn’t for the ear flaps, it would actually be easy to forget you’re wearing a TT helmet at all. We feel a big reason for this is Scott’s Micro Rotary Adjustment System, which allows for quick and effective fit adjustments. This is a big win compared to some of the other options on the market. 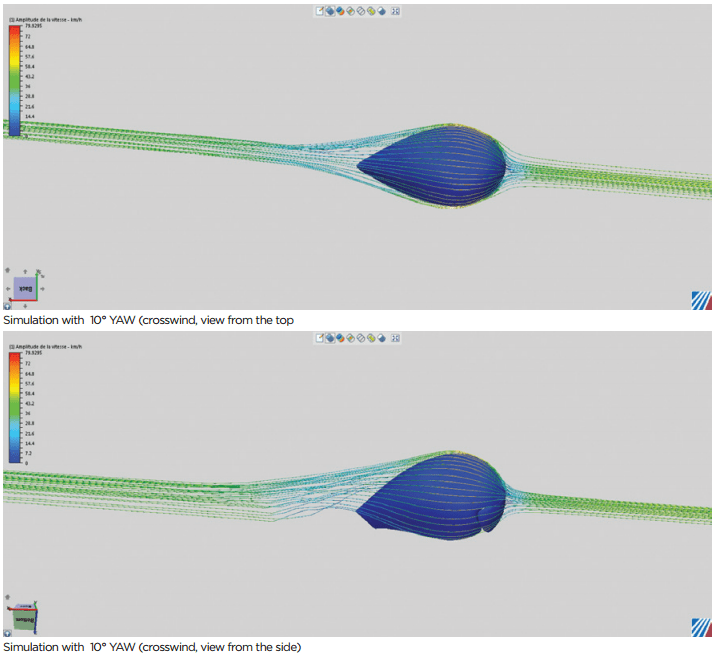 The shape of the split was designed via CFD and refined in the wind tunnel. Scott went through a number of shapes before settling on the final design. 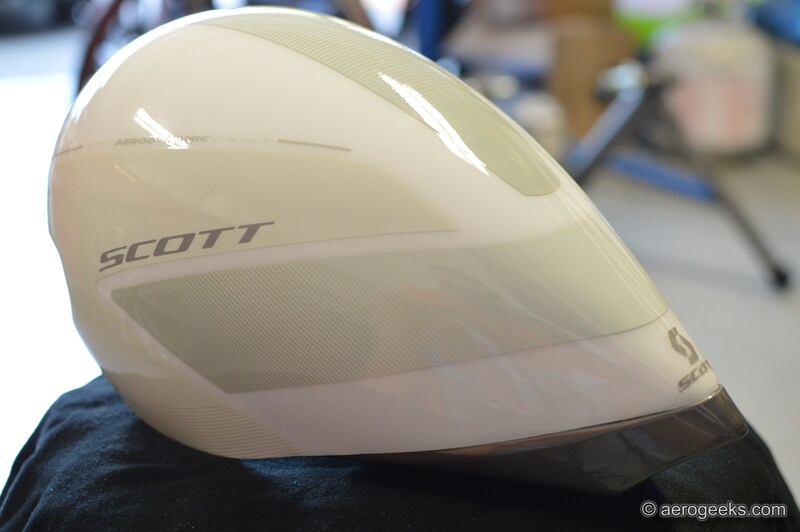 Scott claims a lower drag coefficient than their benchmark competitors when wearing the visor (with the visor vents both opened and sealed). Our only real complaint about the Split was the fact that the ear flaps are solid and do not bend at all. This did add a few extra seconds to getting the helmet on as part of our transition training. To accommodate for this, we tended to get the helmet on, readjust our ears, and off we went. A number of the Split’s competitors have been exploring solutions to this, and it’s a feature we definitely missed. Otherwise, we walked away all smiles. We would have no issue with making the Split a permanent part of our race day kit, and really that says it all. Choosing to race with any product is just about the highest honor we can bestow. 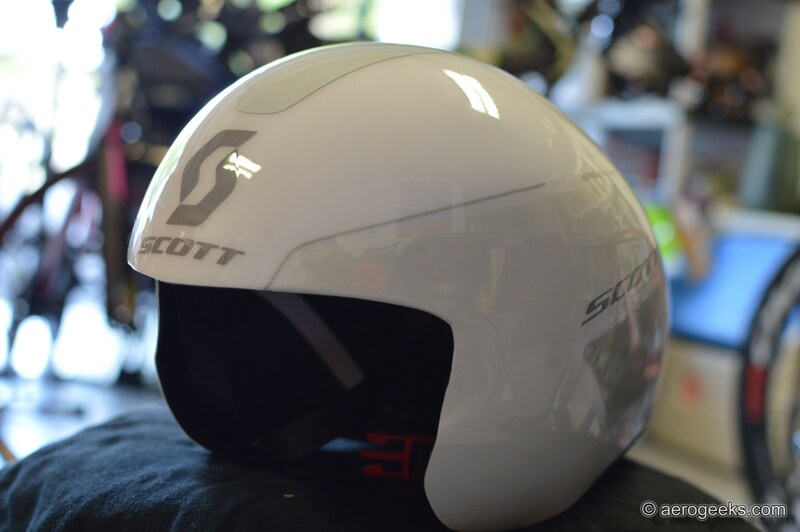 Are the lenses applicable for every Scott Split helmet? Where is it possible to shop for those lenses? We reached out to Scott to find out the answer – “Any Scott dealer can order the lenses and have them in their shop within a few days!” Hopefully this helps.